In GOLDEN BOY, the main character, Habo, is forced to help take ivory from an elephant by the poacher Alasiri. Over the course of the book, Habo has many opportunities to reflect on how willing people are to kill because they find pieces of live things to be worth more than the life itself. Poaching, the killing of protected animals, often because pieces of their bodies are seen as beautiful or magical, has long been an illegal activity. Tanzania, home to some of the worlds largest, most diverse, and most thriving African game parks (the Serengetti, the Ngorongoro crater, Lake Manyara, Tarangire, etc. ), has strict laws against poaching. Though the poaching of elephants for their ivory tusks dropped off in the 80s and 90s it has recently exploded due to a sudden Chinese market for ivory. Hundreds of elephants are now being killed every year and Dar Es Salaam is one of the biggest ivory smuggling ports in all of Africa. 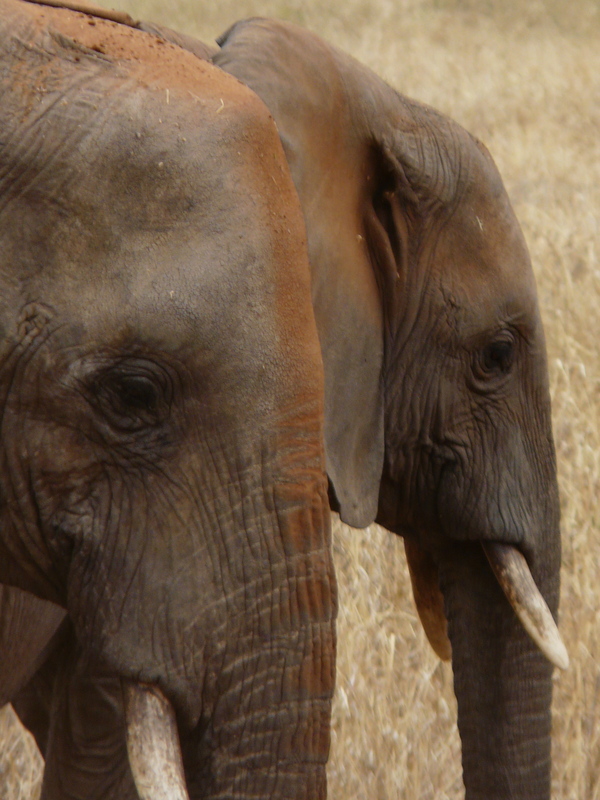 The government of Tanzania is talking about levying stricter penalties for poachers, but this has not yet slowed the trade in ivory or lessened the killing. Safari Tourism, on the other hand, is a great way to appreciate African Wildlife! The pictures you take home are much more meaningful than bringing home pieces of dead animals. If you are interested carvings, you can find wonderful art showcasing the beauty of African animals in wood, metal, and stone, as well as in paintings. Moreover, the money from tourism is one of the few things that make the poaching of elephants less likely: your photo safari gives local governments a reason to protect wildlife. Cool bird… can’t remember what he was! Baby zebras are brown and furry! A selous cat. Very rare! … perhaps a little too close? Lionesses sleeping in our shade when we parked. Giraffe — aren’t his spot’s a cool shape?